Nothing could be easier than commissioning your own print for a gift or for yourself - Christmas, weddings, birthdays, Valentine's day, anniversaries, leaving presents - or just design a print of any colour for your family or a friend that reflects the places you have visited that are special, the people, the sayings and the words that have meaning to you. It generally takes 14 days from proofing to delivery. 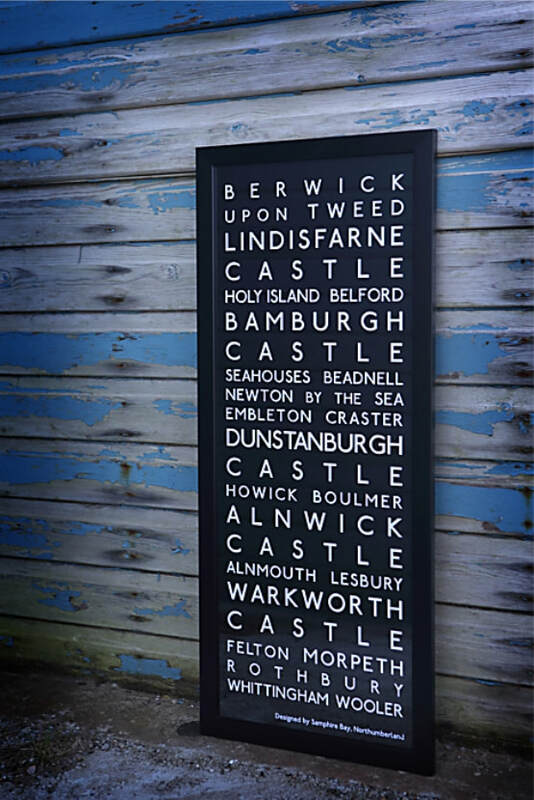 Email us using the contact us page with between 20-25 placenames (for destination style prints) or words (for dialect/phrase prints), tell us what colour background you'd like and we will get back to you with a proof asap.